￼Don Walker Cycles is a one-man shop with a solid reputation for building high performance bicycle frames. The latest advances in technology combined with my craftsmanship to build you a one-of-a-kind, beautifully efficient, machine with perfect fit. Each frame is handcrafted with the highest quality materials available today. Choose from road, track, tandem, cross, mountain and single speed frames. Riders who trust Don Walker Cycles to give them the ultimate in cycling performance have won numerous District, State, National and International competitions. Our bikes have been ridden at UCI World Cup competitions and have been on the podium at the World Championships. Proven at the highest level of competition. My design knowledge stems from my 10 years as a competitive cyclist coupled with a lifetime of aircraft mechanic and manufacturing experience. I have worked on some of the most technologically advanced aircraft in the world including the United States Air Force’s B1-b, B-2 and even Navy P3 aircraft. My resume also includes the Learjet model 45 and Challenger 300 series, two of the most advanced corporate business jets available today. I have mastered the art of fillet brazing, a technique that makes the tubes appear seamlessly connected. Fillet brazing is a craft I learned as a certified welder in 1992 and have been honing ever since. 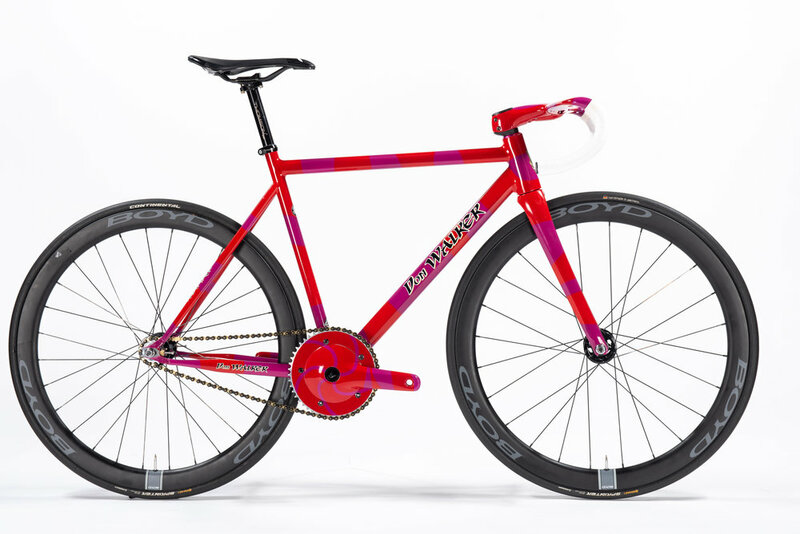 Harmonious lines, beautifully seamless joints and meticulous attention to detail, these are the things the set Don Walker Cycles apart from the competition.